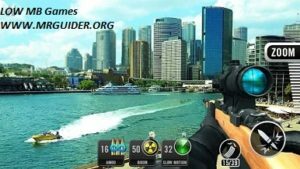 Sniper Shot 3D: Call of Snipers is one of the best low MB games for Android to download. Its size is around 25 MB and you can play it offline. 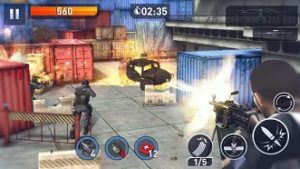 Additionally, it features awesome breathtaking 3D graphics, over 100 challenging missions, and loads of weapons; sniper rifle, assault rifles, shotguns, and machine guns). In this game, your objective is to shoot down the enemies and complete the missions. Price – Free(Contains Ads, In-App Purchase). Size – 24 MB. Download the game – Here(Google Play Store). Sports Car Racing is another one of the best small size games available on Google Play Store for free to download. Its size is around 20 MB and you can play it without an internet connection. It features dozens of super sports cars, 3D graphics, 80+ challenging levels in which you compete against rivals, and you can also customize your car with pain, rims, brake calipers, and interior trims. Price – Free(Contains Ads, In-app purchase). Size – 19 MB. Download – Here[Google Play Store]. Fit by Ketchapp is another great small size game for mobile devices available for free download on Google Play Store. 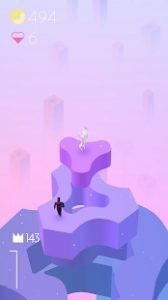 If you are looking for a challenging game, then you should give it a try. Fit game’s best features are its gameplay, stunning graphics, superb sound, and amazing environments. Its size is around 25 MB and you should give it a try. It is awesome, amazing, marvelous, and superb Low MB game on Google Play Store. Price – Free(Contains Ads, In-app purchase). Download – Here(Google Play Store). Size – 28 MB. 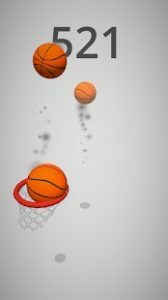 Dunk Hoop is an addictive basketball game for Android devices. In this game, your objective is to control the basket hoop and catch all the balls. Balls can come from any direction and you have to catch it; you need to control the hoop like a pro! and catch all the balls in order to reach the high score. Compete with other players from all over the world and top the leaderboard by scoring a high score. It’s a fun, challenging, and amazing game. You should give it a shot. Price – Free(Contains ads, In-app purchase). Download – Here(Google Play Store). Size – 27 MB. West Gunfighter is an amazingly small size action game available on Google Play Store for free. It has been released recently on Google Play Store by Candy Mobile(One of the best game developers). Its size is around 20 MB and it really worth download. I would recommend you to try it. 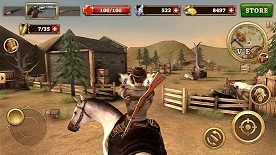 In this game, you explore the open-world and play as a western cowboy. The game features awesome graphics within a small size pack. There are plenty of activities to do such as exploring, shooting, and more. Price – Free(Contains Ads, In-app purchase). Size – 19 MB. Download – Here(Google Play Store). 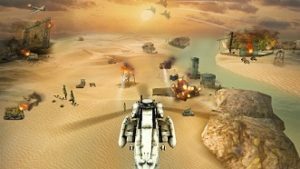 Gunship Strike 3D is the most popular action game for Android on Google Play Store. It has crossed over 50 million downloads on Google Play Store and still, it is getting hits. The best thing is its size; it is very low, but it does not mean you will not get a good gameplay and graphics. The game offers a variety of environments where you battle against rivals and features 3D graphics. You should download this small MB game. Price – Free(Contains Ads, In-app purchase). Size – 17 MB. 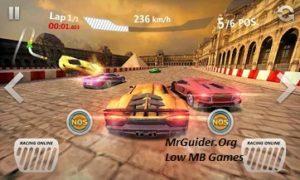 Download low MB game – Here[Google Play Store]. If you love skate games, then you should try it out. Its size is under 10 MB and offers 40 challenging levels with lots of fun, features 4 beautiful environments, and realistic arts graphics. 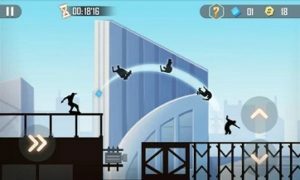 In this game, you skate down cities, speed-up, jump, collect coins, use power-ups, and reach the high score. Price – Free(Contains Ads, In-app purchase). Download – Here(Google Play Store). Size – 8 MB. Elite Killer is among top best low MB games. If you are looking for a small size shooting game, then I would recommend you to try it out now. Within a small size pack, it offers 3D graphics, hundreds of challenging levels, local mission mode, online PvP mode, and much more. It really worth download. In fact, it is one of the best shooting games. Price – Free(Contains Ads, In-app Purchase). Size – 20 MB. Download – Here(Google Play Store). Metal Soldiers 2 by Play365 is a popular shooting game for mobile devices. In this game, you play as a soldier and your one and only objective is to defeat the enemies as fast as you can. The game features dozens of epic challenging levels/missions. The original version of this game has crossed over 10 million downloads on Google Play Store and its size is around 15 MB. You can try original version too. Size – 20 MB Original Version Size – 13 MB. Price – Free(Contains Ads, In-app purchase). 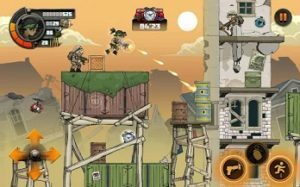 Download Metal Soldiers 2 – Here(Google Play Store). Download original version – Here(Google Play Store). 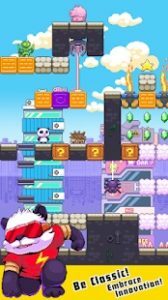 Panda Power is a new platform game for Android by RedFish Games, the creators of badminton league game. In this game, you play as a panda and your objective is to complete the challenging levels featured in story mode. It is a fun, simple yet challenging games, with good graphics and gameplay. You can even create your levels in this small size game. Price – Free(Contains Ads, In-app purchase). Size – 28MB. Download – Here(Google Play Store).